I'm always in search of a way to be more organized when it comes to blogging. I often have a general idea of what I want to post each week, but I don't always have those posts scheduled in advance. 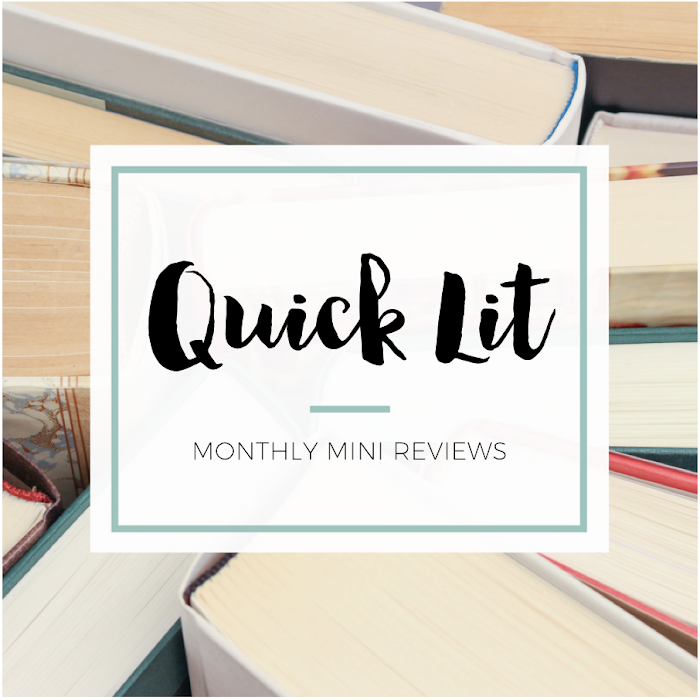 I've written before on how I use May Books to brainstorm and plan out posts, and those have been invaluable in helping me stay on top of everything going on with my blog. But lately I found myself wishing for something else! I wanted a clean, simple (but cute) single-page planner where I could see in a glance what I needed to do for the blog. I'm a huge fan of lists, so I searched Pinterest and etsy for some sort of printable to do list worksheet. Everything I found was so generic, and I wanted a worksheet that was geared specifically towards book blogging. I'm able to see, in a glance, exactly what I need to work on for the blog. If I need and/or want to have the post done by a specific date, I've got the column there to remind me. And there's nothing like checking off one of those little boxes once I'm done! My goal was to make it specific to book blogging but general enough that almost any type of blog post could fit in the categories. Why did I want it to work that way? SO I COULD SHARE IT WITH ALL OF YOU! Duh. The look of my to do list was inspired by a daily to do planner I found, which was created by Miss Tiina (check out her etsy shop!). After I finished creating it, I realized that I wanted to make it available to any book blogger interested in downloading it. So, I emailed Miss Tiina to ask for permission to share what I made. Thankfully, she was so nice and had no problem with me posting it for y'all. YAY! 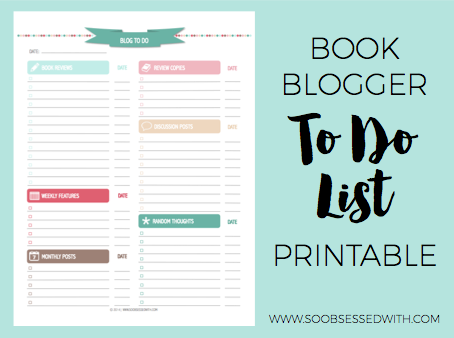 CLICK HERE FOR THE BOOK BLOGGER TO DO LIST PRINTABLE. Haha! Yeah, I always tell myself to just let it go if it starts to stress me out. I'm not a fan of being stressed out at all! I like to do lists as a way to help myself keep track of what I want to do instead of thinking of it as something I have to do :) And thanks for the kind words! How very generous of you to share with everyone, H! I really do TRY to be organized but it doesn't really happen. I have a similar set up in my notebook but this is prettier and better sooo maybe I'll try my hand at this! Thanks!! Oh girl, I'm not as organized as it might appear but I love the process of attempting to get organized. Yay pretty lists! You are wonderful!! Thank you so much for sharing this! As you know, I already loved the idea of this! And it turned out SO.GOOD. I'm glad she was okay with you sharing it, because I'm sure many bloggers are going to love it - and find it so useful. I'm an organization freak, so this definitely is right up my alley! Seriously, thanks for your feedback on it! I was SO glad when she said yes, and I'm glad you suggested I ask her. I felt so much better about it knowing she was fine with me posting it. This is pretty sweet. I'm digital for most of my planning - but I would totally use this too. I can't believe I've only just discovered your blog! Your blog is amazing! Thanks for sharing the to-do list with us! It's really useful! This is freaking adorable! I generally plan blog stuff through gmail or Google docs, but between work, classes, homework, blogging, and writing, I don't always want to be on the computer. I'll definitely have to give this a try. Thanks for making this and sharing it with the public, Hannah! OH this is so cute! Thanks for taking the time to put it together!! This is so gorgeous and a wonderful idea!!! I'm soooo bad with actually writing things down that I need to so hopefully this will help me organize (you know, when I actually buy ink for my printer. Sheesh, gotta do that). 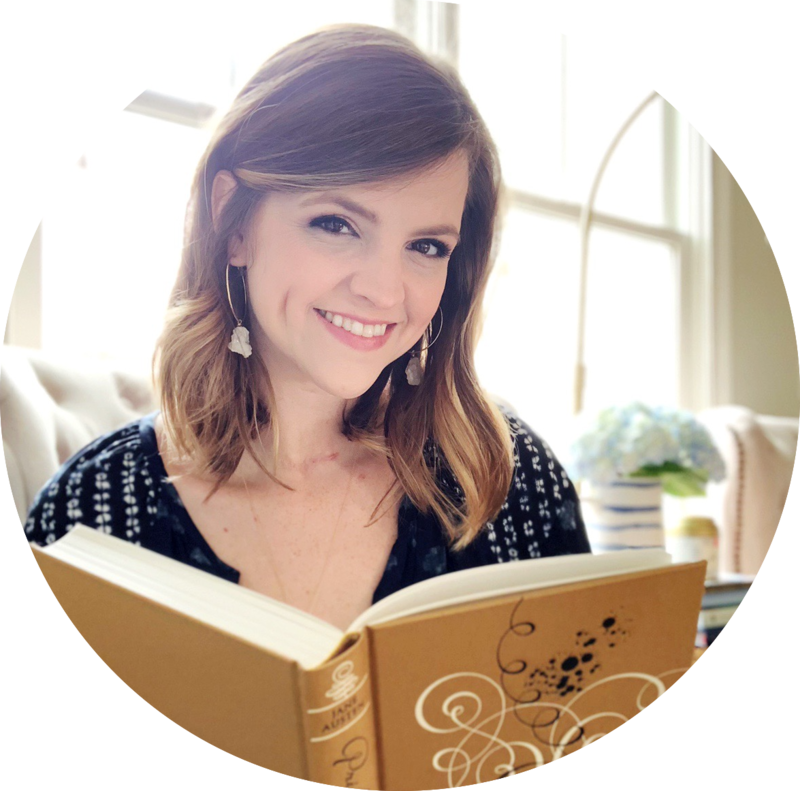 It's so great to get organized and I LOVE all these little blogger tips & helpful posts! Thanks, Hannah!! This is the absolute cutest thing ever! Way to bring a fresh look to a to do list! I am so going to try this to see if I get more inspired! I missed this post whenever you posted it! I'm sad about it because I actually could really use it! Just yesterday I woke up and started crapping around on the internet. I opened and email with the details needed for a teaser post I agreed to do that was supposed to be up THAT DAY! I spazzzed and whipped it together, but it def could have been prevented. I'm going to print some of these sheets out and attempt to be more organized with reading and planning posts, especially with the new baby coming-- my brain is going to be fried. Thanks for sharing!! This will also be required for the blurb on the front of the book telling the reader a little about you. You have to know what entitles you to be able to write this book.